The present period of Sudan's history has witnessed an unprecedented increase in the calls for separating the South. On both sides the voices of secessionists have become the loudest and prevailed over those calling for unification. With some differences here and there, but in both cases separation has become now an inescapable reality. I spoke with two advocates of secession in the North and the South: Nhial Bol Aken, owner of the English-speaking newspaper The Citizen, and retired Brigadier Dr. Sati Sorkati, a prominent leader in the Just Peace Forum Party, in the first face-to-face confrontation of its kind. I asked both of them about their respective foundation of thinking, their views on secession and how they view one another. This is the first part of the story, the interview with Nhial Bol. Read the second part, featuring Dr. Sorkati, here. 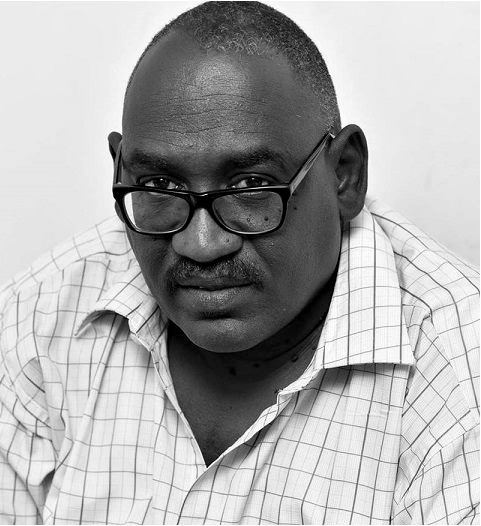 Hasan Farouk: Separatists in the North say that they will celebrate the true independence of Sudan after the secession, what is your comment on that? Nhial Bol: The calls for separation began to circle after the talk about the Islamic state. At this point Southerners began to contemplate the idea of separation, because when you start to apply Sharia you are actually looking for something that separates Southerners and driving them away from the North. So I find it strange when I hear those who are calling for unity and for what? I don’t know. What is really strange is that on many occasions I hear that America is behind the Southerners who call for separation, and what is even worse is that such rhetoric comes from Northern intellectuals. The situation is so bad that there is no single thinker left in the South!! What do you mean by Northern intellectuals? This is really one of the world's wonders. The majority of those are Islamists and members of the National Congress and I don’t know what they want given that they are the ones who created this situation. They are being hypocrites when they call for unity since they are working to monopolize the North and the Southerners who support them do so because they are promised citizenship as if Sudan is the property of the National Congress in which it distributes citizenships at will; this one is pro-National Congress so we give him citizenship, while that one is anti-National Congress so we deny him citizenship!! What I would like to say is that Southerners have the ability to materialize their will and thinking without anyone behind them and what I want from those intellectuals I mentioned is to respect Southern thinkers, Southern thinking and the will of Southerners, and as I said earlier what those people say is one of the wonders of the world to me because they are the ones who imposed this situation. What is the difference between your call for separation and between that of Northern separatists? We have nothing in common. They are the ones who forced us to call for separation and we are actually implementing their own agenda. The first is related to participation in the administration of the state, and we are marginalized in the state because we are given unimportant government ministries such as the Ministry of Labor, the Ministry of Youth and other ministries that are known to be tailor-made for Southerners. That is why it is rare for Southerners to have effective roles in the state. The second is related to religion, even if we have no religion, as some people describe us, because we are affiliated to the Islam of the North and we do have Muslims in the South but they are not like the Muslims in the North. Hence, and only through these two issues you can see that we have nothing in common with those who imposed the reality of separation on us. There are accusations that you are serving a special agenda for SPLM hardliners! Up to 1953, Southerners have always demanded federalism. I don’t know what role SPLM played in that and whether or not it was in existence at that time, and what kind of agenda the people who called for federalism were implementing at the time! It is not just that they accused us of implementing an SPLM agenda but they also accused us that we want the oil for ourselves and that the main reason behind our call for separation is the oil in the South. I would like to ask here: was there oil in 1955? Certainly not and despite that there were calls for separation. In 1983 when the so-called Sharia laws were applied there was no oil in the South, but the accusations kept coming and once they accused us of implementing Kenya's agenda, several times they accused us of implementing Uganda's agenda and countless times they accused us of implementing the American agenda, which are all nothing but total nonsense accusations. Let me tell you something else in regard to oil, it is just like the Gezira project that did not benefit the North in anything. What we will do with oil? It is an important question that should be asked and in the South we don’t have tanks to make use of the oil so what we will do, drink it? We don’t drink oil since we prefer to drink other things. I stress once more that we have issues and ideological differences with the North and we are at odds with respect to how to run the states. You spoke about Northern intellectuals and their role in the reality of separation that is imposed now. What are your reservations on the stand of Northern intellectuals? I went to the North earlier and found out that Northern intellectuals don’t want to face the truth. I asked them: is it the fault of America and SPLM that the National Congress controlls you? This is your problem. We have political parties in the South and we have views different from those of SPLM and we consider its business to be its business. Let me tell you that there is no single rational intellectual in the North!! What is your concept of intellect? I expected them to wonder why the problem existed even before independence, and why Southerners have no role in the administration of the state? All of them or some of them did not wonder? All of them, and even if someone is wondering his voice will not be heard. Don’t you see anything beautiful in the North? I don’t think about the beauty of the North or in the fact that there is anything beautiful now because things have reached the point of no return. There are indeed good individuals in the North but our problem is with the administration and I am well aware that there are impoverished areas in the North and I know people who are facing very difficult conditions. However, they have many privileges that we don’t have, such as a strong presence in the administration, which is something that we don’t have. Is the call for separation associated with bitterness towards Northerners or is it just associated with your conviction that you are capable of establishing your own state? We have the ability to run the state but on the contrary I as an intellectual see that the North is required to change the administration and I may ask here: are all Northerners, are Muslims so as to demand the application of Sharia? What is the Just Peace Forum Party to you? The Just Peace Forum Party is the implementer of the National Congress agenda and it condones racist practices. I worked with Dr. Al-Tayeb Mustafa in Sennar and I know him very well and I know his poor ability. The Just Peace Forum Party is full of hypocrisy. The high voice in the Just Peace Forum Party is for Al-Tayeb Mustafa and he is also the most outspoken advocate of separation. What is the reason behind that in your opinion? The reason is that the Just Peace Forum Party is a one-man party. I heard that you once called for Sudan to be split into several small states. What is the basis of this call? Indeed, our first call was to split Sudan into three states; one in Darfur, the second in the North and the third in the South. What will be the status of THE CITIZEN newspaper, since it is completely or partly owned by you, after the separation? Will it close down or move to the South, or will it have its presence in the North? We will have our presence in the North and we will not close it down. Are you going to visit the North after separation? I will surely visit the North if I am invited.